To get started with projections, learn the basics of working with projection tables. 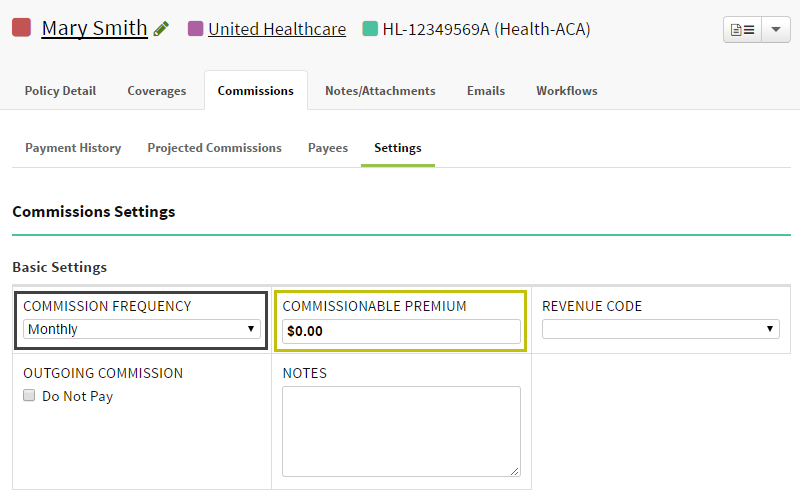 Projection tables provide data to calculate the commissions you expect to receive. Each projection table includes a duration of time, a commission type, and expected amounts. Projection tables work in combination with your policy data. As such, to get the most out of using Projection Tables, it is important to make sure your policy data is current and accurate. Each projection table contains 2 sections - Projection Table Details and Expected Commissions. Enter a table name and description for your projection table. Use specific and unique language to describe the scenario a projection table will handle. Effective Date Projections start in the month of the effective date. 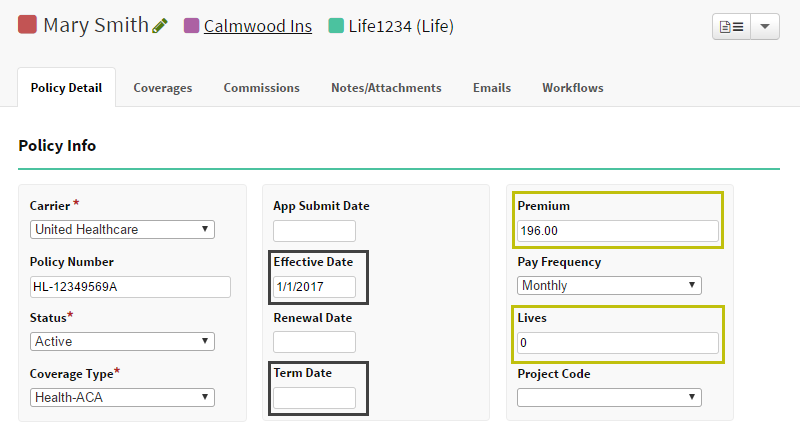 Term Date Projections end in the term month when populated. Premium Used with % of Premium Commissions Type. Lives Used with Per Life commission type. (Commission Setting) When populated, is used instead of the Premium from Policy Detail if present and % of Premium projections used. Gray Box - always used in combination with projection tables. Yellow Box - only used when applicable for commission type is selected. Q. What happens if data is missing in a policy field? A. If a policy is missing data needed to calculate projections, projections will show as $0.00 amount. As soon as you update any policy information, AgencyBloc will automatically recalculate your projections. Q. What happens to projections when policy information changes? A. Anytime policy information changes, projections are automatically recalculated. Q. What happens if I change the details on a projection table? A. Any time projection table information changes, projections are automatically recalculated.